Bulleya Lyrics is from the new John Abraham upcoming movie Romeo Akbar Walter. The song has been sung by Rabbi Shergill & Shahid Mallya. 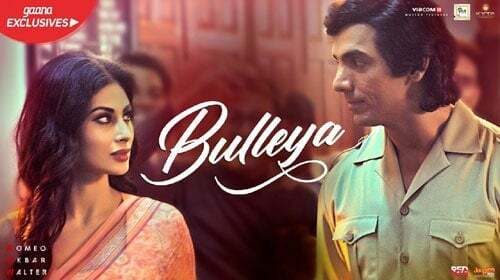 Music of the song has been composed by Sohail Sen and Lyrics of Bulleya has been penned by Ashok Punjabi. RAW starcast includes John Abraham, Mouni Roy & Jackie Shroff. Listen to Bulleya Audio Song on Gaana. Enjoyed the Bulleya Lyrics? Let us know if there is any error in the post.